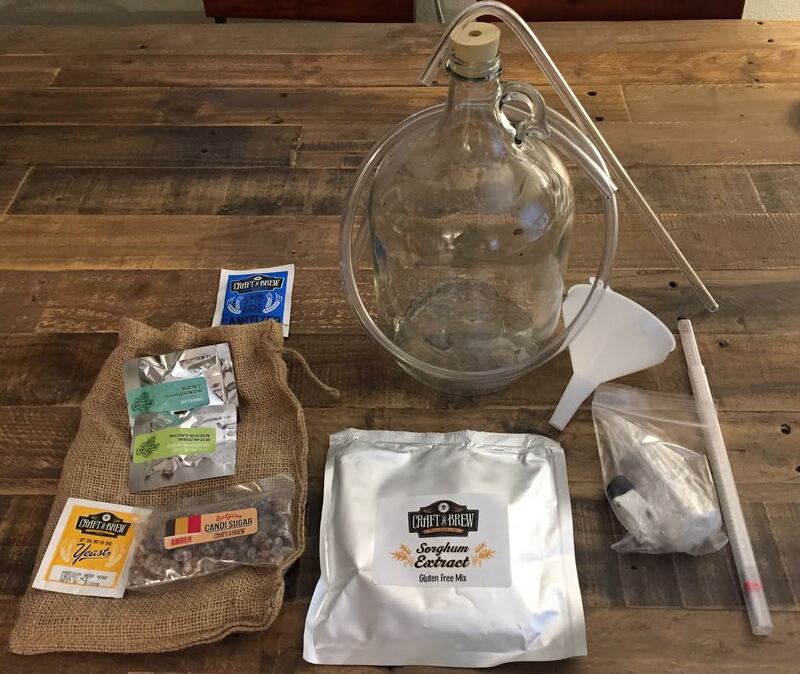 Homebrewing is a rite of passage for any beer lover. 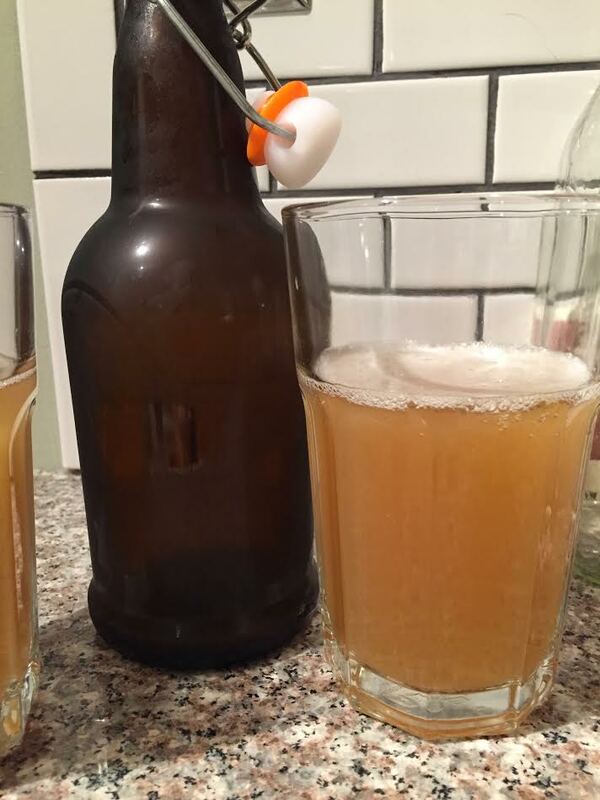 Being able to make your own beer from scratch and share it with others is a fulfilling adventure. 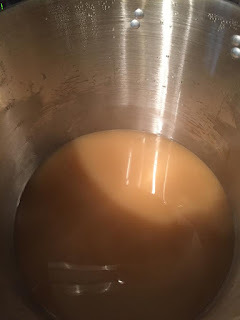 I had brewed a couple batches of beer before my Celiac Disease diagnosis, so I was eager to jump back in where I left off. 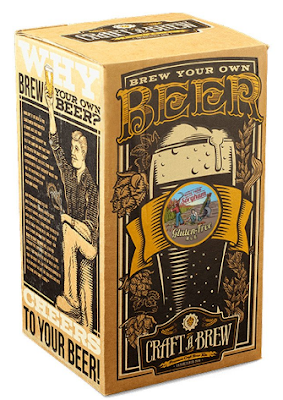 Craft a Brew aims to make beer lovers beer brewers by providing kits containing nearly all of the equipment needed to brew a batch a beer, along with quality ingredients and detailed instructions. After unboxing the gluten-free amber ale kit, I found the equipment was of high quality, especially the thermometer. The included instructions are clear and straightforward. They also have helpful videos and more instructions available on their website. All the ingredients were clearly marked. Thoroughly clean and sanitize all the equipment! Don't take any shortcuts, even the smallest amount of contamination will leave you with a drain pour. Make sure you get ice in advance and plenty of it. The faster you cool the wort (unfermented beer) the less risk of contamination. Use as large a pot as possible. The extra room can help prevent boil overs. I used a 7.5 gallon pot and had plenty of room, but a pot that large is not required. After two weeks of fermentation, bottling starts. The bottling process was much easier than I remember. I'm guessing it was a combination of a smaller amount to bottle, the bottles themselves, and the fact that the smaller carboy was easier to move and adjust as necessary. I was able to get all bottles filled with little to no sediment. Mission accomplished! After another two weeks (during which the beer conditioned and carbonated), I reached the final step: refrigerating and drinking it. I flipped the swing top off and was greeted by a powerful pop - definitely a good sign that the beer was properly carbonated. The beer itself was a cloudy amber color, due to its unfiltered body. The aroma was filled with sorghum sweetness and a nice hop smell. The taste is on the sweet side, with caramel and hop notes on the finish. This definitely reminds me of a Belgian beer, likely due to the addition of the Belgian candi sugar. The closest beer I've had to this is Green's Amber Ale, though this beer is sweeter and lacks the medicinal off-flavors present in the Green's. A great beer, if I do say so myself. Now I just have to think of a name. If you are interested in homebrewing, be sure to check out Craft a Brew for its gluten-free amber ale and hard cider kits. DISCLOSURE: Craft a Brew provided the gluten-free brewing kit for review purposes at no charge. However, the opinions expressed in this review are independent and were not influenced by the free product.